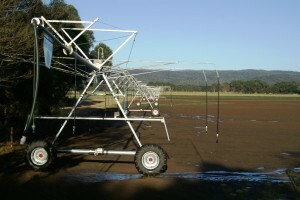 Water for irrigation is mainly sourced from Lake Glenmaggie on the Macalister River with lesser volumes coming from the Cowwarr Weir on the Thomson River. 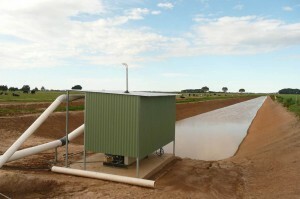 The water is distributed to irrigators by a gravity fed system of channels and pipes. Highly productive soils that support the thriving agriculture sector in the region. The MID drains into these lakes, rivers and wetlands and contributes to the reduced quality of water entering these systems. The Gippsland Lakes provide significant environmental, social and economic value to the Gippsland region. Export of excess nutrients has been recognised as a major contributing factor to increase the risk of algal blooms in the lakes. The MID has been recognised as a contributing source of nutrients to the Lakes. By improving irrigation water use efficiency and adopting best management practices, farmers in the MID have and are continuing to reduce the load of nutrients being exported from the district. Improved irrigation efficiency is also helping reduce the threat of salinity and water logging whilst boosting the productivity of farms in the district. These combined benefits are all helping to build a strong and resilient irrigation sector which in turn is boosting the regional economy. In 1998 the Macalister Irrigation District Nutrient Reduction Plan was developed. 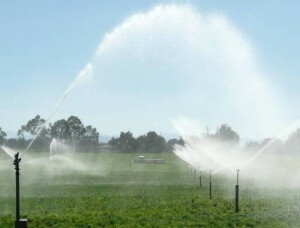 The plan identified more efficient use of irrigation water, fertilisers and dairy waste to reduce the amount of phosphorus leaving the district in drainage water and to lower the likelihood of algal blooms in the Gippsland Lakes. This has now been replaced by the Macalister Land and Water Management Plan. This aims to improve not only the health of the Gippsland Lakes but also the condition of a range of assets including productive farmland, wetlands and native vegetation. The plan recognises that more efficient use of irrigation water remains one of the best ways to minimise offsite impacts of irrigation whilst improving farm productivity. The Macalister Irrigation District Irrigation Efficiency Incentives Program funding targets on-farm projects to achieve the following outcomes. support an increasingly productive irrigation sector with reduced impacts on the environment and public assets. This program is managed by the West Gippsland Catchment Management Authority in partnership with the Department of Economic Development, Jobs, Transport and Resources and is funded by the Department of Environment, Land, Water and Planning through the Sustainable Irrigation Program. The Macalister Irrigation District Irrigation Efficiency Incentives Program provides financial incentives to irrigators for the following activities. Irrigation farm plans are made up of a survey and design to assist landholders to implement best irrigation practices on their land. The survey includes the layout and topography of the current farm layout. The design also includes the future layout of the farm including irrigation and dairy waste systems, fencing, laneways and bay and pressurised irrigation design. 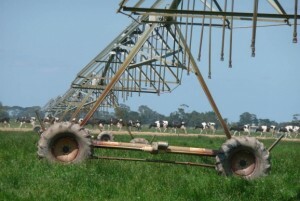 As SRW roll out their modernisation of the delivery system there will be opportunities for irrigators to upgrade their farm layout to maximise the benefits of their farm. A modernised IFP involves an update of the design of the irrigation plan, taking into account different locations or reduced number of outlets, delivery height and potential connection to a delivery pipeline. A reuse system is a dam constructed to catch irrigation runoff and rainfall, allowing you to use the water and nutrients that previously would have left your farm. Changing from flood irrigation to pressurised spray irrigation, particularly on the more permeable soils, will greatly improve irrigation efficiency and reduce runoff and deep drainage losses. The best practice surface irrigation incentive is aimed at helping irrigators with the opportunities available following modernisation of the delivery system. These on-farm works aim to optimise the benefits of the improved flow rates and improved consistency of supply available through the modernised system. Over 430 farms, covering 36,500 hectares within the district now have an irrigation farm plan. Irrigation reuse systems have been a real success story for the program. In 2000 when the program began there were only a small number of reuse systems in the entire district. Since then the program has helped farmers to install over 230 reuses systems capturing irrigation runoff from over 12,000 hectares in the MID. Based on field trials and monitoring we have estimated that these reuse systems are saving irrigators approximately 24,000 ML per year and also preventing tonnes of nutrients from entering our waterways. The combined benefits of these works have helped support a massive transformation in the MID over the past 15 years. In total it is estimated that irrigators are now saving almost 35,000 ML of water which is now being returned for increased production on farm. This is the equivalent of increasing the capacity of Lake Glenmaggie by approximately 20%. The environmental benefits of the works are significant. Nutrients are being prevented from entering our waterways, the water quality in the rivers, wetlands and the Gippsland Lakes is improving. The works have also helped contribute to a significant reduction in the threat of salinity and water logging across the MID.